a Travel Thursday article about Japan. This with the exception of next Thursday as a shopping guide for Seoul will go online then. My boyfriend Chris did part of his thesis work in Kyoto. Because of that I lived there in the summer with him for one month. During our stay in Japan we made a trip to Tokyo. My Japan series will start with this trip even though chronologically seen this was the end of my stay haha. All posts about Japan are completely re-written and the photos are re-edited! Upon my arrival in Japan at Narita Airport I had taken the Shinkansen to Kyoto. This time we decided to travel in a cheaper way: by taking local trains with the Seishun 18 Kippu pass. Find out more about this pass here. That website however doesn’t tell you that the leftover days you have on the pass can be sold back to the ticket agency! We spend about 25 euro each traveling from Kyoto to Tokyo which took us about 10 hours (including food stops). When we arrived at Tokyo station this was the first thing we saw. How futuristic! The normal vending machines that you see all over Kyoto all of a sudden seemed old fashioned. 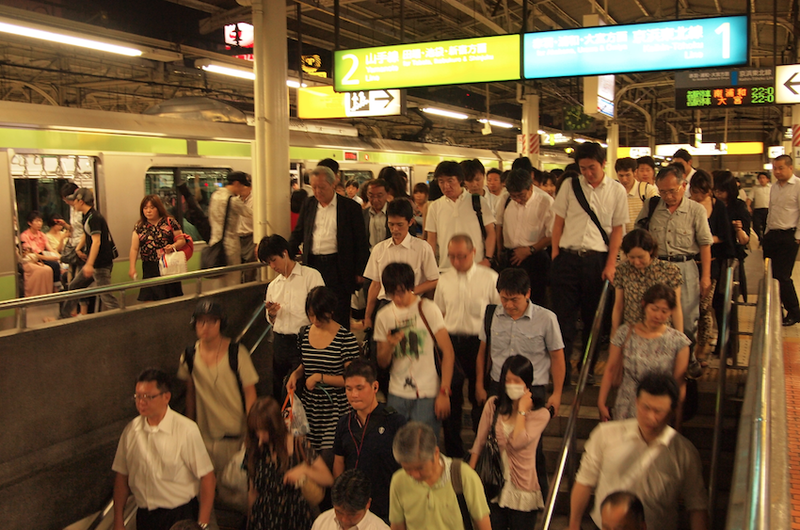 Another thing that was different from Kyoto are to amount of people on the streets in Tokyo. This picture was taken late at night, can you believe how crowded it still is? Our hotel was near Ueno station which meant that after arriving at Tokyo station we still had a bit to go. This was what we saw when we opened the room… Small, very small, but pretty descent for a total of 30 euros a night.I hit my head several times… For your reference I’m 1.80m/ 5’11 which is quite a bit taller then the average Japanese women (or man…). We stayed in two hotels during out trip to Tokyo. I must say that the second one was more comfortable and cheaper, although the owners didn’t speak English as well as the first hotel. If you want to know the hotels we stayed in or any other information just ask me in the comment section below. 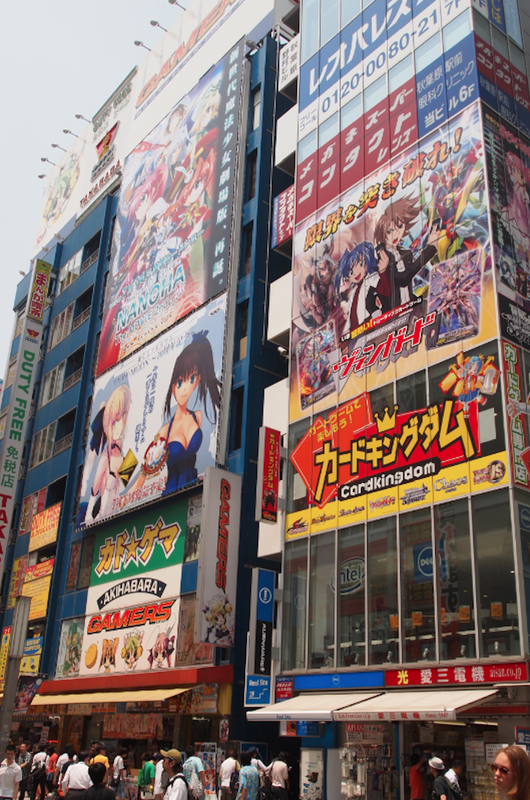 The next morning we took the train to Akihabara, a district all about manga, anime and gaming. Here you’ll find a lot of the crazy things that Japan is known for. This building was the first thing we saw after walking out of the station area. It turned out to be one big game hall. Look at those crazy elevators. We were dying to see the inside! And what did we find inside? 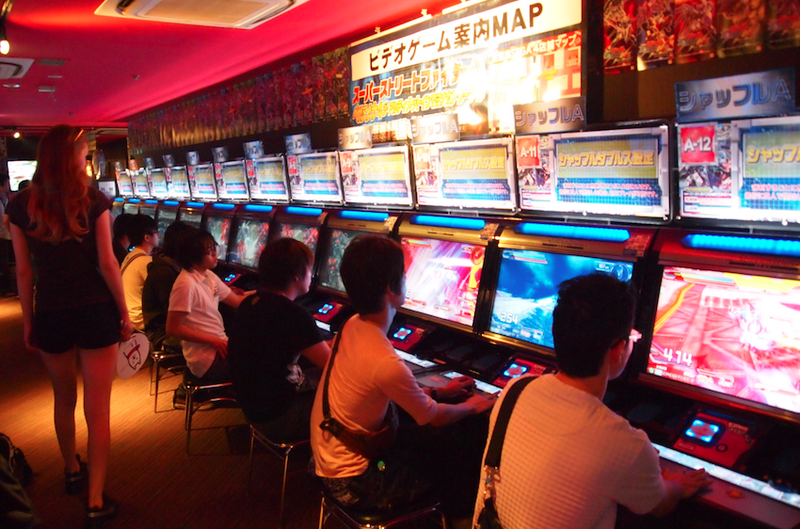 Tons and tons of Japanese guys waisting their money playing video games all day long! 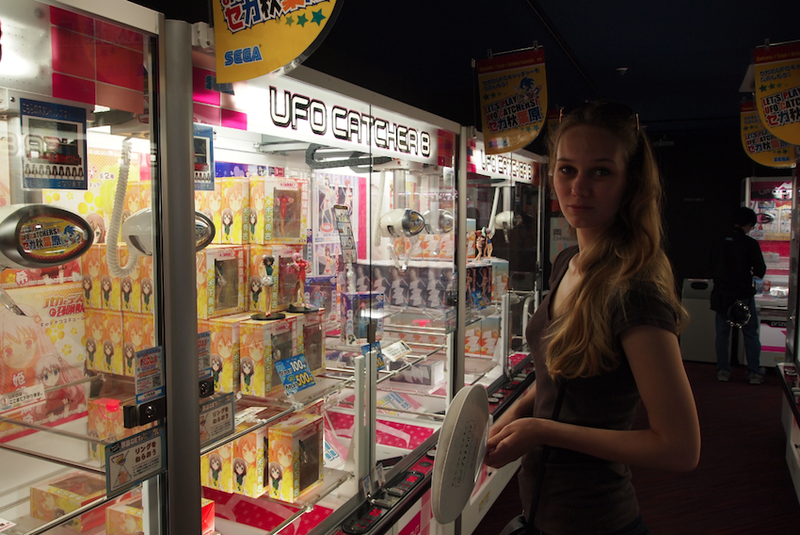 Several floors were filled with ufo catchers. We had lots of fun watching die-hard ufo catcher fans taking out toy after toy. But even the seasoned players spend a lot of Yen before catching the doll of their desire. Don’t mess with the Dutch! And no it’s not real, it’s a toy. 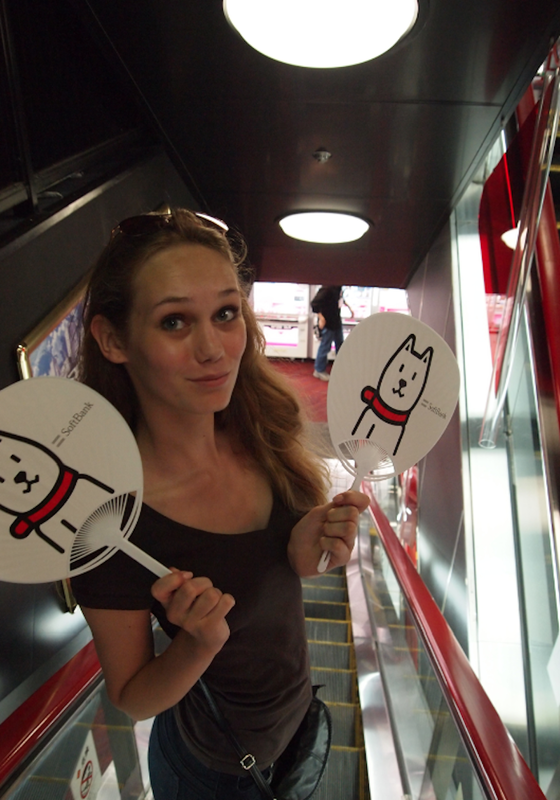 Japan’s loyal dog Hachiko on my fans! You can get lots of free stuff like tissues and fans on the streets of Tokyo. The Japanese even take construction coverage to a whole new level! 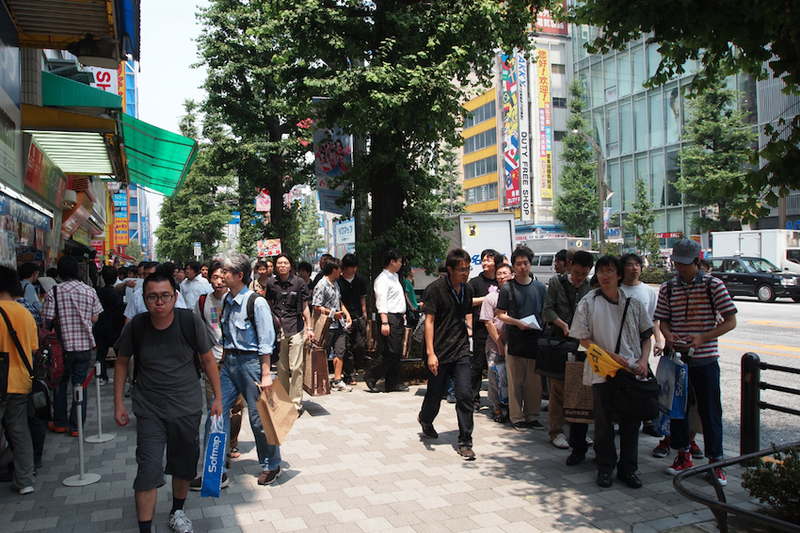 You’ll find lots of queues like this on the streets of Akihabara. Many die-hard manga/anime fans, know in Japanese as otaku’s, wait for hours just to get the newest edition of their favorite manga. 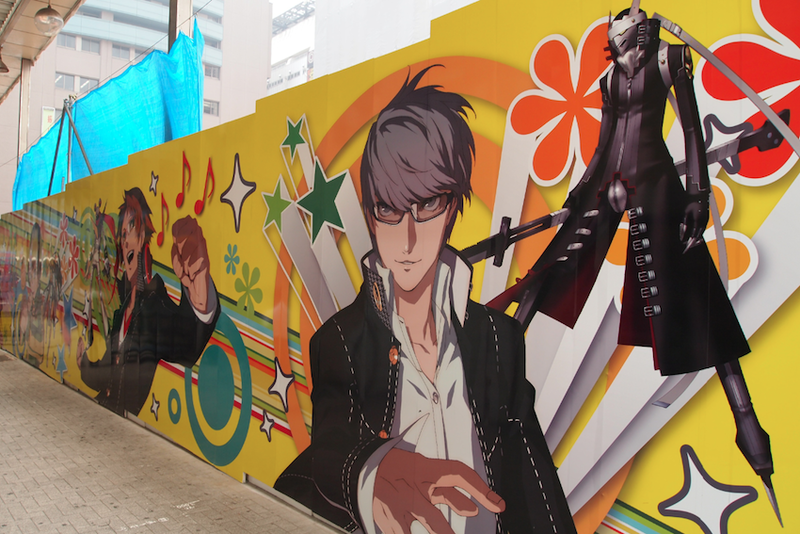 Please look forward to the next part of our Akihabara trip. Which will center around another interesting aspect of the Japanese culture: Maid Cafes. No idea what I’m talking about? Stay tuned for the next Travel Thursday! Or have a chat with my buddy Google! I love reading about others travels to Japan!! If you come back let me know 😀 so many great photos! I will! I really want to go back so badly already! Japan is on the list of travelling destinations (next to Korea and Singapore). A whole lot of advertising on the streets and Hachiko dogs are really a thing there (so cute, only know them from the movies)! Last time when visiting Taiwan I was also really stunned by their high tech metro tickets vending machines, so easy and fast! Thank you so much! Stay tuned for more posts on Japan every Thursday (with the exception of this coming Thursday as I’ll be blogging about shopping in Seoul). When I went to Japan I wasn’t into makeup blogging that much yet so I didn’t buy more then two nail polishes 🙁 I do have a post about fashion shopping in Tokyo coming up and I did do a ton of beauty shopping in Seoul (which is even better then Japan for makeup according to a lot of people!). Search my blog for the the tag Seoul to find those posts. And I have a post coming up about a Shiseido lipstick which is a Japanese brand. I can already tell you that the quality is awesome!